Chemist and “semi-recreational” codemonkey Isaac Yonemoto is running a crowdfunding campaign called Project Marilyn to create open sourced, patent-free cancer drugs. Yonemoto proposes a $75,000 stretch goal to fund an experiment he hopes will prove we can use a compound sequenced from microscopic bug cultures to treat cancer. It’s a plan that could liberate pharmaceuticals and dramatically lower the cost of anticancer medicine. The global market for these drugs surpassed $1 trillion this year. The average monthly cost of a brand-name cancer drug in the U.S. is about $10,000, according to the IMS Institute for Healthcare Informatics. Yonemoto believes patent-free medicine to be the solution. “The software industry and the open-source movement have shown that patenting is not necessary for innovation. Releasing without a patent means the drugs will be cheaper and it will be easier to build on the work to make improved drugs or drug combinations. Releasing without a patent means expanded access to drugs in countries that can’t afford extensive licensing and export agreements,” he writes on the campaign website Indysci.org. 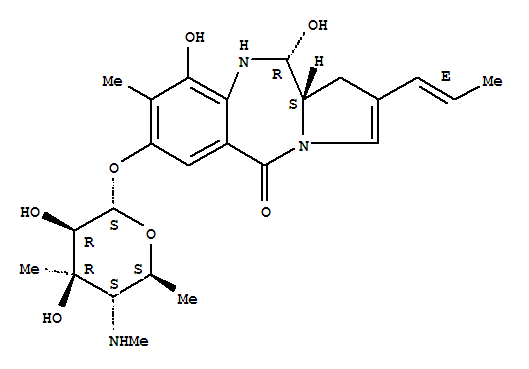 Chemical composition of original sibiromycin compound discovered by Russian scientists in the 1970’s. This is actually not a new idea. Russian scientists first came up with a parent compound to treat cancer using synthetic biology in the 1970’s, but soon found their compound caused heart defects. A researcher at the University of Maryland revisited the original idea and discovered that cutting out an oxygen molecule made her compound likely to be both safer and more effective than the original. Yonemoto picked the work up after she left to take a job with the National Institutes of Health and could no longer work on the project. Yonemoto decided to take on the project and now wants to run an experiment to prove the researcher’s initial work. He’s using Tilt to host the campaign on Indysci.org, as opposed to a more traditional crowdfunding site like Kickstarter or Indiegogo. The cash will be used to buy lab space and tools, as well as for the actual experiment on mice. The campaign initially started with an ask of $50,000, but met that goal already and created a larger goal of $75,000 to include a couple other compounds to work with. He plans to start clinical trials in January or February of next year and says he will most likely launch “a fun advocacy campaign” before lab work begins. “The big picture is we’ll be trying to solve the problem of expensive pharmaceuticals by releasing drug candidates that put downward pressure on price through competition,” Yonemoto tells TechCrunch. The campaign ends this Tuesday, Oct 28.